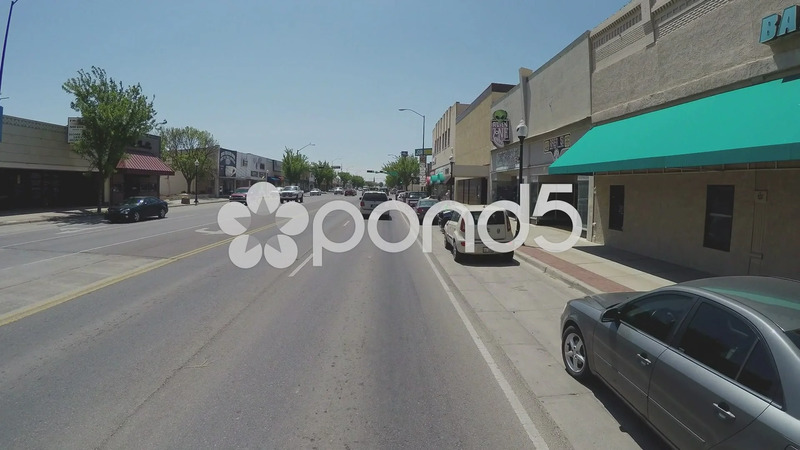 Description: Point of view driving vehicle shot of Roswell New Mexico business district. A driver stays in the right hand lane close to the cars parked in front of a row of shops and businesses. Part of a series of clips by ChromaVid featuring point of view driving stock video.